Most of us have at least one computer at home, some may even have a few. 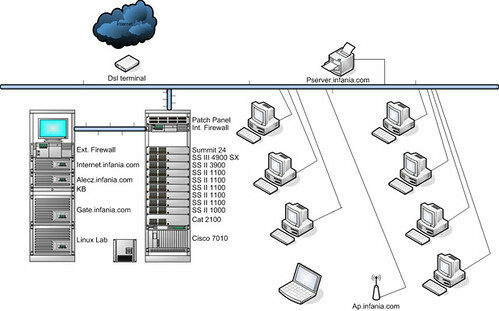 And then there are the ones that almost run their own data center at home, for private use. 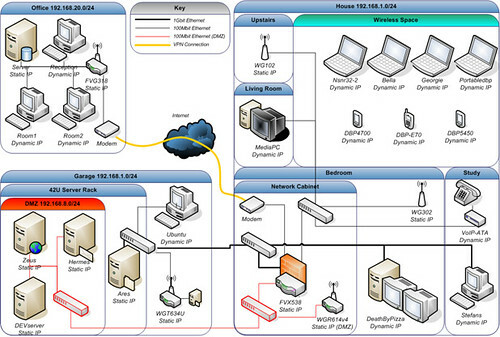 We had a discussion here at Pingdom when one of our staff members re-configured his home network and added lots of fancy stuff. Well, we thought his network was cool before we found these. 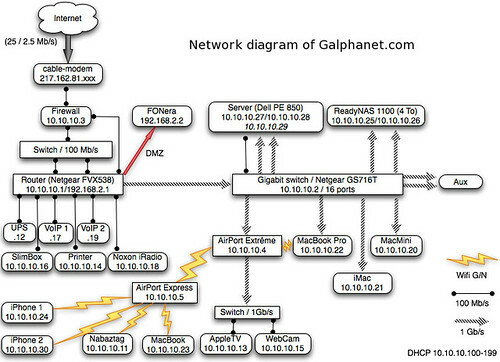 This diagram is so good looking and they have a network which seems to be all over the house. Not everyone has a 42U server rack in the garage and VPN to the office. 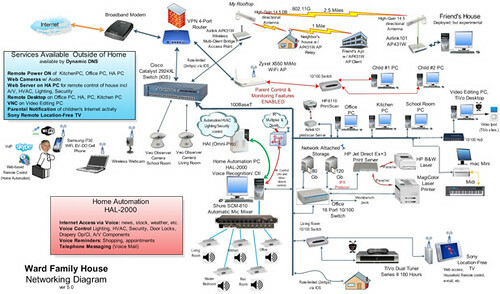 Both ADSL and cable Internet connections powers the gadgets in this home. 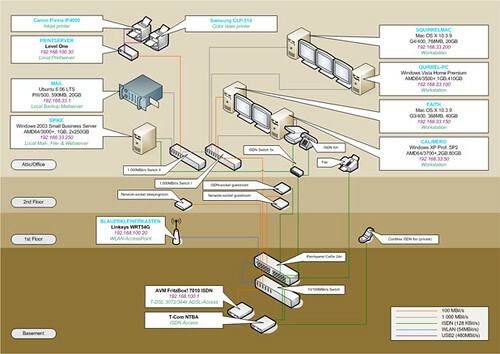 Clean overview of all computers in the house floor by floor. 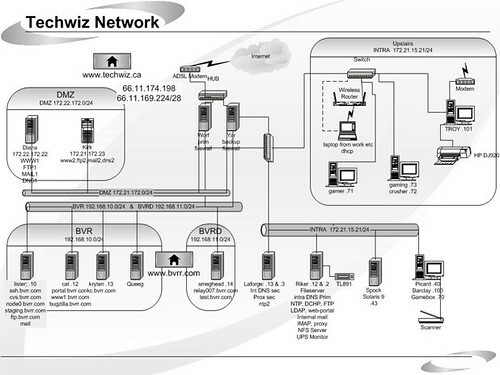 Everything seems to be able to be controlled through the network in this house. If you have a barn you should have a wireless IP camera there. Some servers in the office with tape backups. These servers covers the need of a small company. 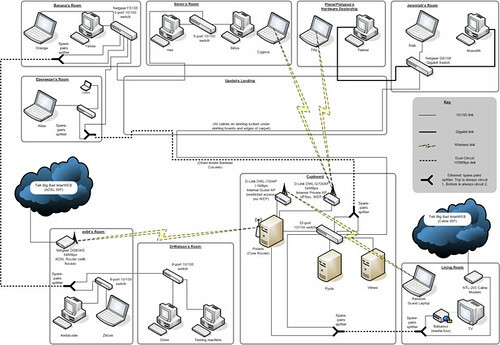 It look’s more like a hosting company then some ones home network. Mostly Apple products seems to be allowed in this home. 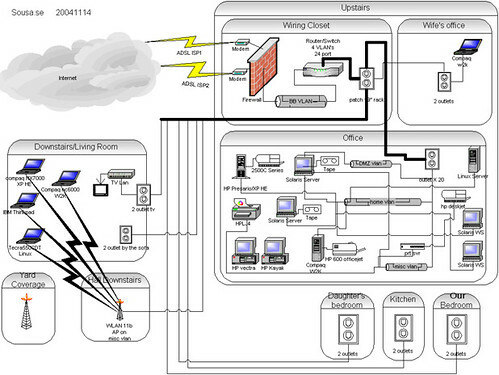 If you have a impressive home network you can upload it at Rate My Network Diagram and post it in our comments. Wicked set up at the top. 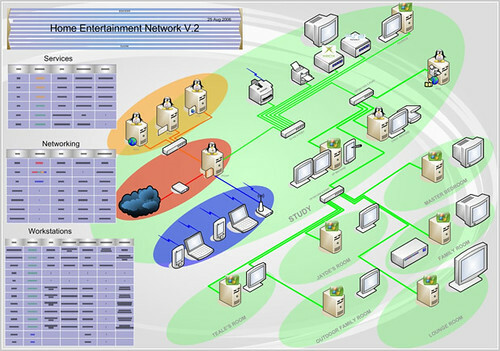 If only I had the time and the money to recreate such a masterpiece of networking. 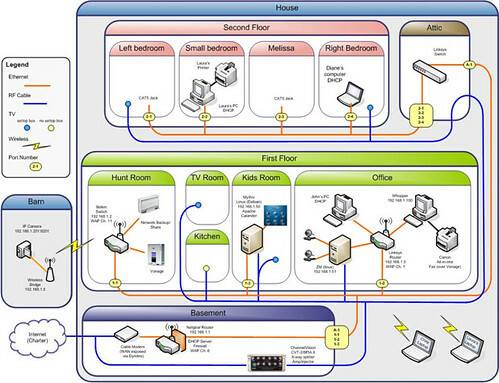 Ive been thinking about using my garage to set something like this up but lets say it not exactly in the right state right now for electronics. Guess it just one of those things I will never get around to doing. Nice thought though.